FAR too often the prognosis for Brexit (whether deal, no-deal or no Brexit) is viewed through the prism of the Conservative Party and the conservative vote alone. The BBC, in particular, is obsessive in its focus on Tory splits and has been for decades. It rarely pays attention to those on the Labour side – whether within the party or between the party and its voting base. Unusually last week, after Jeremy Corbyn ruled out talks with Theresa May unless she took no-deal off the table, a BBC reporter was despatched north to find out what traditional Labour voters thought about it. Not much at all it transpired. They’d voted to leave and to leave was what they wanted deal or preferably, no-deal. 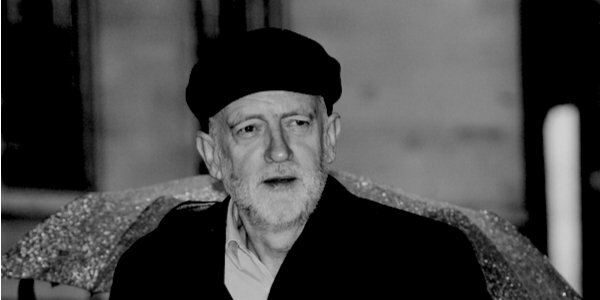 To understand what that means for Corbyn and Labour, forget the BBC and turn instead to a recent Briefings for Brexit podcast with Richard Johnson, a lecturer in politics at Lancaster University with an interest in Labour history. Though recorded before Corbyn’s motion of no confidence, it shines light on Labour’s Brexit predicament and the course that Corbyn has been trying to steer since the referendum. First Johnson dispels any doubt about Corbyn’s personal pro-Brexit stance: he always clearly articulated a ‘principled intellectual opposition to the project of the EU and European integration from a Left standpoint’ based on three prongs – democratic, socialist and internationalist – Johnson says. Corbyn, like Tony Benn before him, he explains, has concerns about ‘transferring major aspects of national policy to a supranational entity’ which cannot be held accountable by the national electorate. More importantly, for Corbyn’s socialist agenda, are the EU’s restrictions on the ability of national governments to shape their economies through, for example, the mechanism of state aid. Johnson thinks Corbyn has to stick to his pro-Brexit ground, come what may. For not only have the polls demonstrated a remarkable consistency in the public’s attitudes on Brexit – tracking polls since the referendum have shown no change at all or very modest change – but Leavers are now more Leave than they were before. That he says should be obvious to the Labour leadership if they want power or at least to the majority of Labour’s MPs who represent Leave constituencies. What Corbyn really would like is victory at a General Election which would allow him to shape Brexit in Labour’s image. To achieve that, he needs to hold on to and make inroads into older working-class leave-voting constituencies. But however reticent his front bench have been to date the Party’s increasingly vocal pro-EU and pro-second referendum sympathies of the last weeks hold out little hope of that. The question of which side of Labour’s split personality will win hangs in the balance. Will Labour’s EU acolytes on the Right of the Parliamentary Party continue to put their pro-EU ideology over electoral reality? Or will Corbyn’s own dithering about what his party stands for lead inexorably to his second electoral defeat?